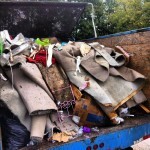 The Stand Up Guys offer junk removal and hauling services to all of Wesley Chapel. 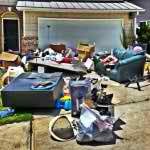 We remove junk for all the residents and businesses of Wesley Chapel. 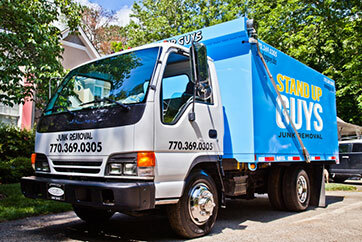 So whether you are looking to get rid of some old junk household furniture or debris from the back yard, or even a truck full of cubicles from your office, The Stand Up Guys Junk Removal Crew can assist you with all of that. Wesley Chapel is one of the nicest areas and one of the largest in the North Tampa Region. Wesley Chapel has well over 44 thousand residents and 15 thousand households. The area has always been well populated, but over the last 13 years or so the amount of people moving in has exploded due to the Luxury Communities featured all over the Wesley Chapel area, like The Preserve at Quail Woods, Watergrass and much much more. Wesley Chapel is the largest city in all of Pasco County, and because of it’s rapid growth and popularity, Wesley Chapel has turned Pasco County into the 38th fastest growing county in the country! The area is perfect to raise a family as well, with some of the best schools in the state and malls and other great activity opportunities at every corner. 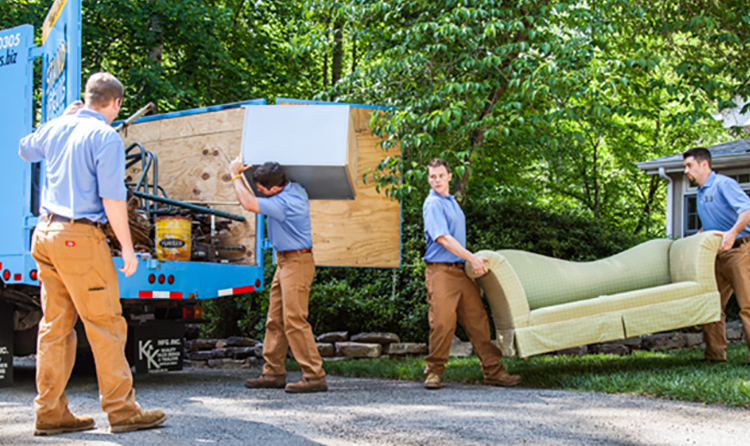 There are many great reasons to work or live in Wesley Chapel, but one of the best reasons is that you have access to the one and only Stand Up Guys Junk Removal Crew. 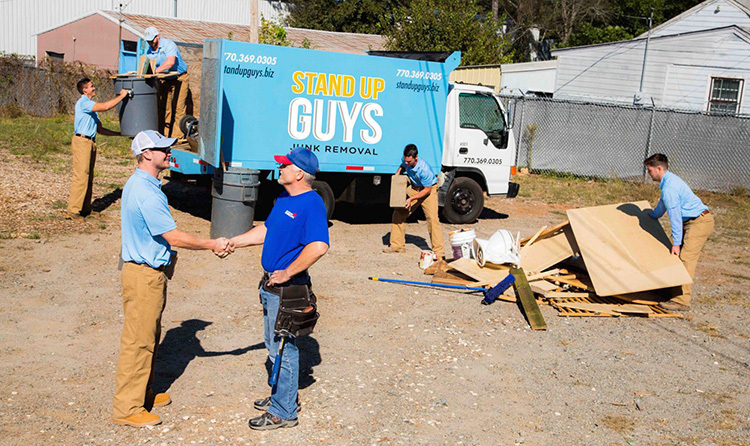 The Stand Up Guys are well known as ‘Wesley Chapels Favorite Junk Removal Company.’ We’ve earned that reputation due to the fact that we offer incredible customer service, value and we give back to the community whenever possible. 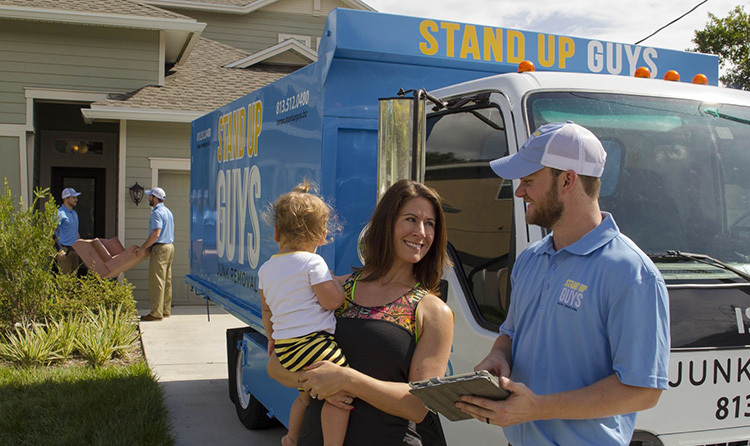 The Stand Up Guys have the businesses and residents of Wesley Chapel in their best interest at all times.